I got some constructive feedback with examples from players such as NextToYou and Sweetheart about situations where the Performance Rating wasn't behaving as accurately as it could. 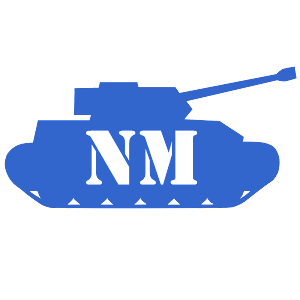 Basically, some of the tank parameters that NoobMeter used had become inaccurate, either because WG had balanced or unbalanced tanks, or because they had added whole new lines and classes of tanks, the capabilities of which and whether they are overpowered or underpowered at the time of adding were unknown, and needed to be estimated. For most players that play a mix of tanks PR would still be accurate as the deviations balance themselves out - in my opinion a much more accurate rating than the alternatives. However for some who only play a "mono-culture" of tanks it could lead to inaccurate results. So time was ripe for a spring cleanup and rebalance. With the help of my good friend crux2005 and already mentioned NextToYou we reviewed the parameters for all tanks and made a number of adjustments based on available information from a number of sources, some of which weren't available when NoobMeter was initially created. As a result, the expectations on the following tank classes were on average lowered: t10 TDs (significantly, especially JgPzE-100 and FV215b (183)), t9 TDs (significantly), t8 HTs (slightly), and most SPGs. The expectations on the following tank classes were on average raised: t10 HTs (slightly), t9 MT (slightly, with exception of T54E1), t8 MT (slightly), and some other lower tier tanks (in nearly all cases slightly). As a general rule, TDs are still expected to do more damage than HTs and MTs, and SPGs significantly more damage than tanks of the same tier. The database is being recalculated right now. As that is done during today, your PR will change, in most cases very slightly. After that all settles, I hope we will be left with an even more accurate rating to assess player skill and performance in World of Tanks. As always, if you have suggestions or questions about www.noobmeter.com or the Performance Rating, please remain calm and contact me either commenting on this blog post, or sending me a private message on the forums (username NoobMeter), or by posting in one of the main NoobMeter discussion threads. Thanks to all those who already do so! Time for another tank WR/OP report. This one was created using the www.noobmeter.com database for the battles between 1 February to 25 March, 2013 and is battle-weighted. As before, I have included Player winrate (WR) for players which own a particular tank in the data, and also calculate a rating called "OP rating" which compares Tank WR with Player WR. As you can see from the results, the new tanks are generally first played by the most skilled players. If one blindly evaluates new tanks using their WR, that can lead to incorrect conclusions. For example, just because tank X has 52% WR while other tanks in that category have 50% doesn't mean it is OP - perhaps it is simply played by players who on average have 54% WR, and is thus in fact under-performing! This is why this report provides a more accurate picture. The t10 tanks all have poor OP ratings, I think that is because they are owned by the best players (good Player WR ratings), who can crush the low-tier random games against less experienced players, but then when playing t10 tanks they meet other good players - whether in CW, TC or even randoms, and thus no longer win that much. Is this report representative for the whole WoT user set? Absolutely not, as mostly above-average players are interested in stats and thus likely to use NoobMeter (as you can see from the Player WR stats which are mostly around the 55% mark). However, assuming you are a NoobMeter user it might very well be representative for you :). This time, it is EU server clans ranked by their recent performance. Filtering done: clans with less than 1000 aggregate recent battles in database were not included. If your clan is missing, I sincerely apologise - it is either because my database doesn't have enough samples for its members or (more likely) your players aren't playing enough games. I may raise this number for future such reports. What does it mean "recent performance"? It is whatever is the closest sample I have to the most recent 30 day interval I have in the reporting database (note it is a different one from www.noobmeter.com). Why is the "Players" column not always 100% accurate? Well, if someone joined or left your clan recently and didn't play a lot of games afterwards, I may not have accounted for him. But one or two persons shouldn't change the overall stats much, except for very small clans. As always, I'm interested and mindful of your constructive feedback :). Edit - Mr. ProfessionalProgamerer pointed out that there is a difference in stats between this report and what www.noobmeter.com shows. The reason for this is that there are less snapshots but more players in the database this report was created from, and that the reporting timeframes differ.. In short, the report isn't representing exactly February 25 - March 24 timeframe for each and every player, but it should be in the right ballpark and is hopefully still interesting and useful. Please refer to the official NoobMeter thread on the forums for a more detailed discussion. Note that this doesn't include clans with less than 250k total battles (to filter out very small clans), or some players with very small amount of battles. Also, all averages are weighted per battle count (to avoid low-battle players influencing the stats too much).